House Speaker Nancy Pelosi, D-Calif., Trying to get it both ways in the Rep. Alexandria Ocasio-Cortez, DN.Y., and her band of freshman socialists, celebrate or dismiss them, depending on the audience. In an interview with "60 Minutes" Sunday evening, Pelosi drew headlines to play Ocasio-Cortez and her allies. 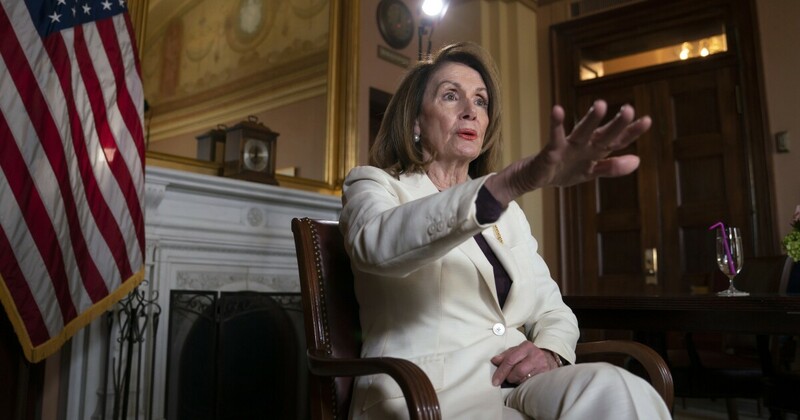 Asked how she could hold the House together when the Democratic Caucus is divided between Socialists and Centers, Pelosi said about Ocasio-Cortez's group, "It's like five people." 1; go down in the ordinary." This is not the first time Pelosi has made comments that have led to headlines on how she "throws shadow" at Ocasio-Cortez. Earlier this month, Pelosi said "a large number of votes" was more important than a "large number of Twitter supporters". In February, she referred to Ocasio-Cortez's signature Green New Deal initiative as "The Green Dream or What They Call It". But at Other times, Pelosi has tried to exploit the enthusiasm of the young group of freshman members, especially when targeting a younger and more liberal audience. She appeared as a defender of anti-Semitic rap Ilhan Omar, even before the latest controversy over September 11. She had to, because she knew the power left over in her caucus. And she also put on the cover of Rolling Stone with Ocasio-Cortez, Omar and another freshman liberal Jahana Hayes, DConn, and celebrated the cover of Twitter. Does Pelosi just make it a habit to pose on the cover of national newspapers with random insignificant members of the congress that only represent a small, and not particularly influential, part of the Democratic Party? Obviously not. Pelosi tries to present the Democratic Party as usual when speaking to a wider audience, yet she wants to entertain and ride the wave of energy produced by the young and remaining left at the same time.